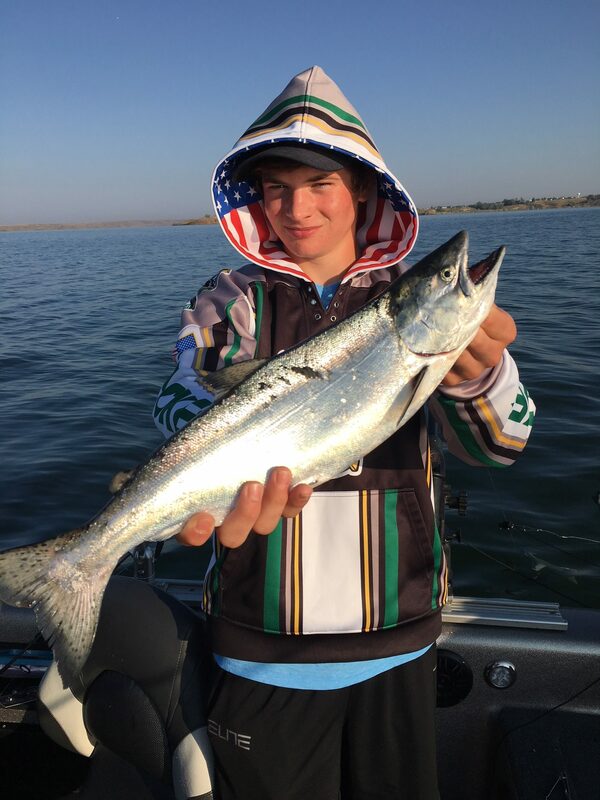 A Birthday Fort Peck Fishing Day! 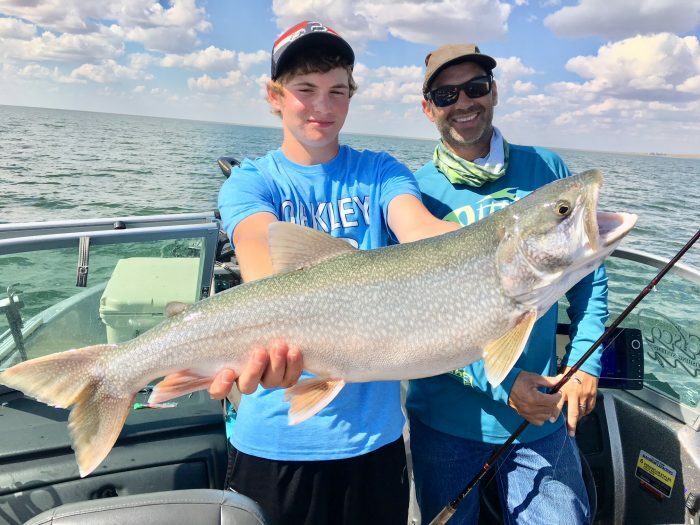 Nik Burke turned 15 Monday, and, along with his dad Kelly, he decided to go salmon and lake trout fishing with the Captain on Fort Peck. Nik caught his first Salmon and also a nice lake trout! Kelly is getting geared up for the archery season at Burke Ranch Outfitters, too. Opening day is only a few weeks away. Congratulations Nik, and Happy Birthday! !